The inside of your refrigerator develops odors based on all the different foods that are stored in there. 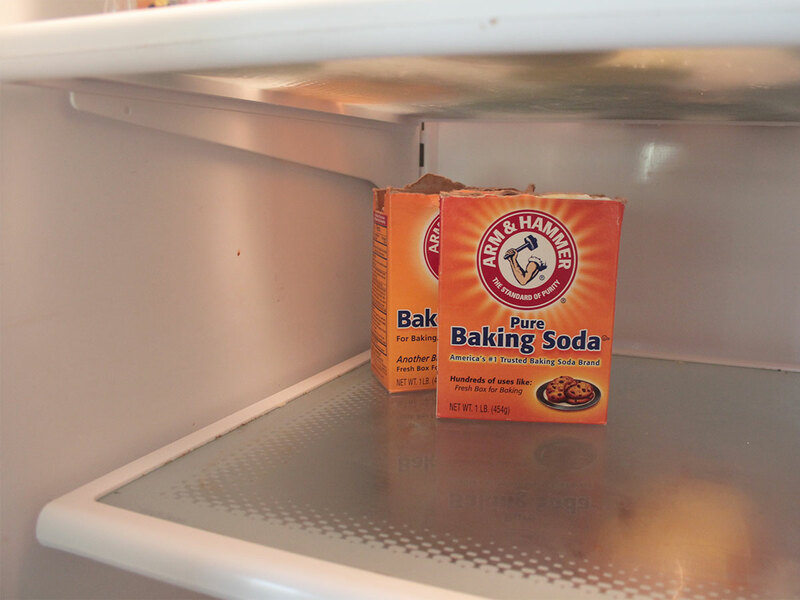 It is a good practice to have a box of baking soda in the refrigerator as it eliminates the odors. But these baking soda boxes wear off as well over a period of time, so make sure your replace them as needed. When you change out your baking soda in the refrigerator, it may be a good time to just go ahead and clean out the inside the refrigerator. First, remove all the items in the refrigerator making sure you discard of items that have gone bad or are expired. Remove any shelves and drawers and wash these with warm soapy water. Then take an all-purpose cleaner and wipe down the inside of the refrigerator. Use some baking soda on any stains that may be inside. Once your shelves and drawers are dry, put them back in the refrigerator and place your items back inside. Here is a video from Clean My Space.